Mediation: We provide mediation services and also represent clients involved in mediation. Erin E. Masters has been approved as a Mediator for the Cook County Domestic Relations Division and offers private mediation services. 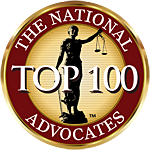 If you are looking to settle your family law matter without court intervention, contact Masters Law Group to schedule a mediation appointment. CONTACT US today to learn more about how we can assist as your Divorce Mediators.